Rohan was excited to start class 11. For him, it was his first step towards his dream of becoming an engineer, and even though he knew he had years of hard work ahead of him, he was determined and motivated. Unfortunately, just one week into his new course, he was diagnosed with blood cancer. Rohan’s life is now at a standstill, and without chemotherapy, he won’t make it. For a week, Rohan returned home complaining of a shoulder pain. Madhusudan and Supriya weren’t too worried. The doctor had given him medicines, and the pain subsided. However, within 3 days, his pain was back, worse than before. 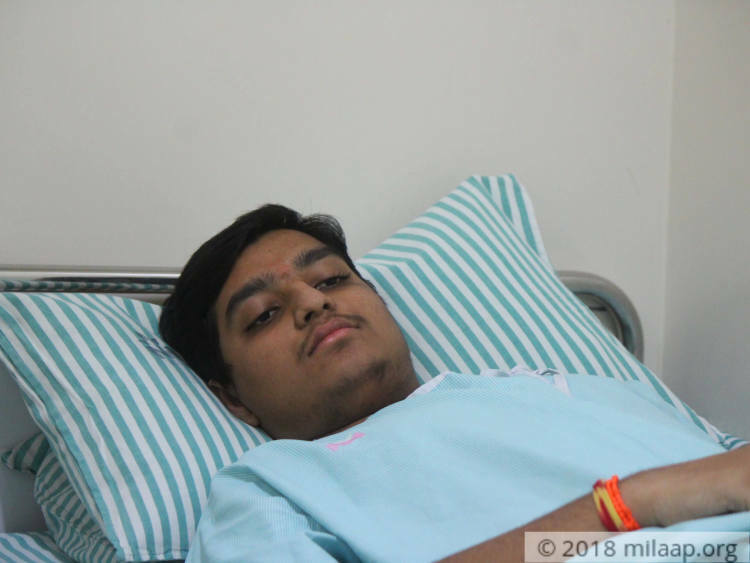 Madhusudan took him for a blood test, and to his utter shock, Rohan was diagnosed with cancer. Rohan started chemotherapy 10 days ago. Oblivious to the implications of cancer, Rohan remains strong and brave. He needs chemotherapy for the next 6 months to beat cancer, but his helpless parents are struggling to save him. 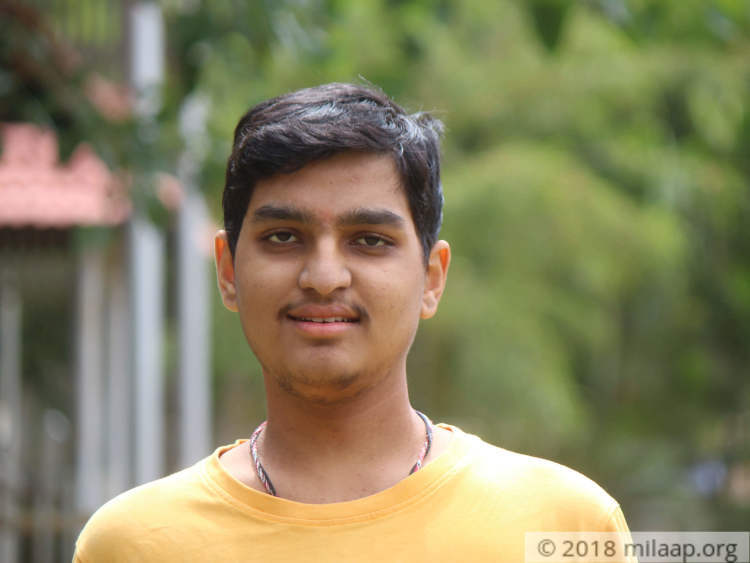 With your support, Rohan can beat cancer for good and fulfil his dream of becoming an engineer. Madhusdan never shows his worry in front of his family. He knows he must stay strong for them so that they can overcome this monumental hurdle the best way possible. However, behind his calm exterior, is a terrified father who worried about his son’s life every day. He works as a helper in a private company and earns around 8,000 per month. 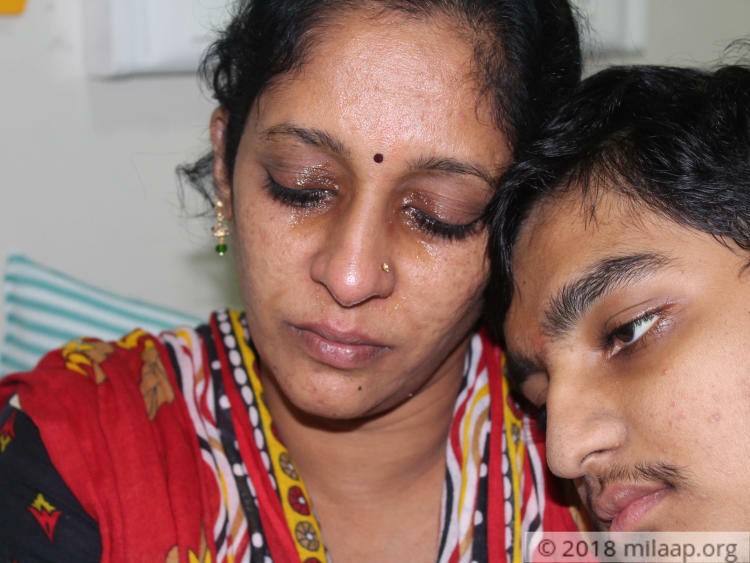 Rohan needs 12 lakhs for chemotherapy, but the amount is above and beyond what Madhusudan and Supriya can afford. 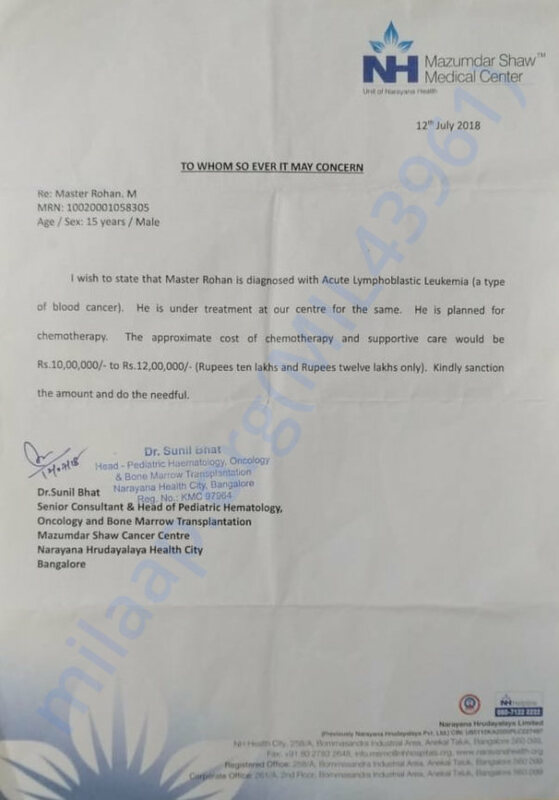 Rohan needs chemotherapy to fight blood cancer. 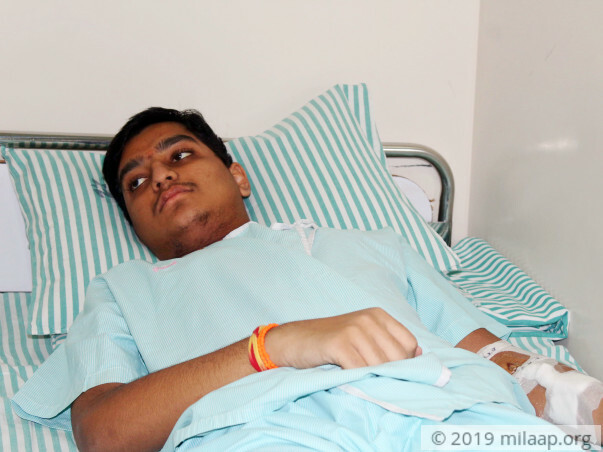 As he lays on the hospital bed, all he dreams of is to go back to playing cricket and studying again. Rohan’s bright future is now uncertain because of cancer. His parents are doing all they can to try and continue his treatment, but they’re falling short. Rohan needs your help to get the life-saving treatment and survive cancer. 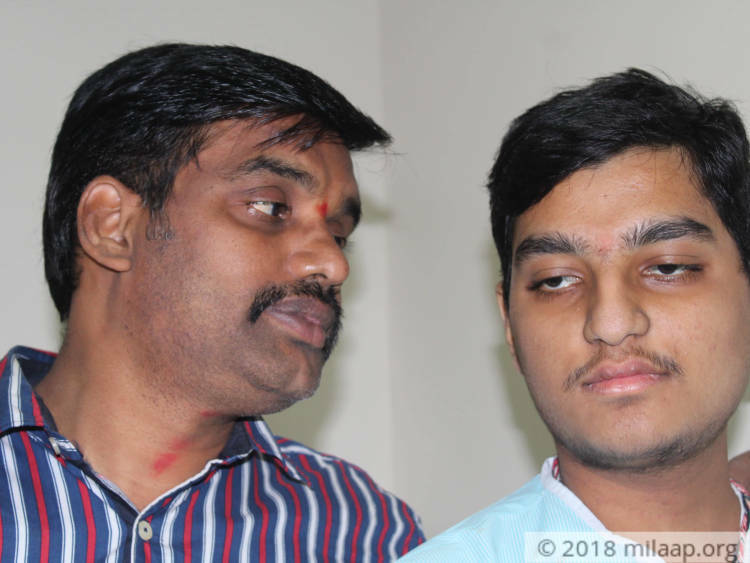 Your support will save Rohan’s life. Rohan is no more with us. 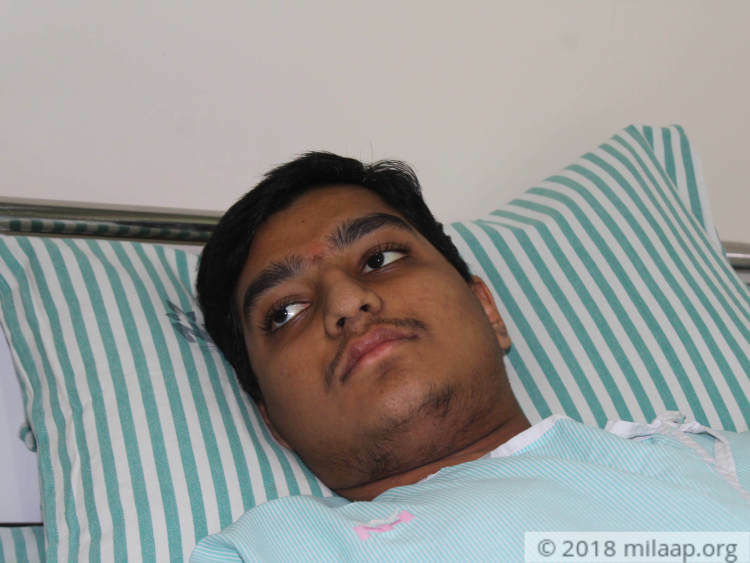 Rohan was undergoing his treatment but his health deteriorated and he couldn't make it. 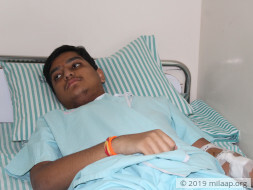 Rohan was diagnosed with Acute Lymphoblastic Leukemia for which he was undergoing his treatment. He completed II A Induction chemotherapy. Post this, he developed fever along with respiratory distress. This eventually deteriorated his health. Therefore, he now needs prolonged stay in the PICU. Hence we are increasing the target amount. 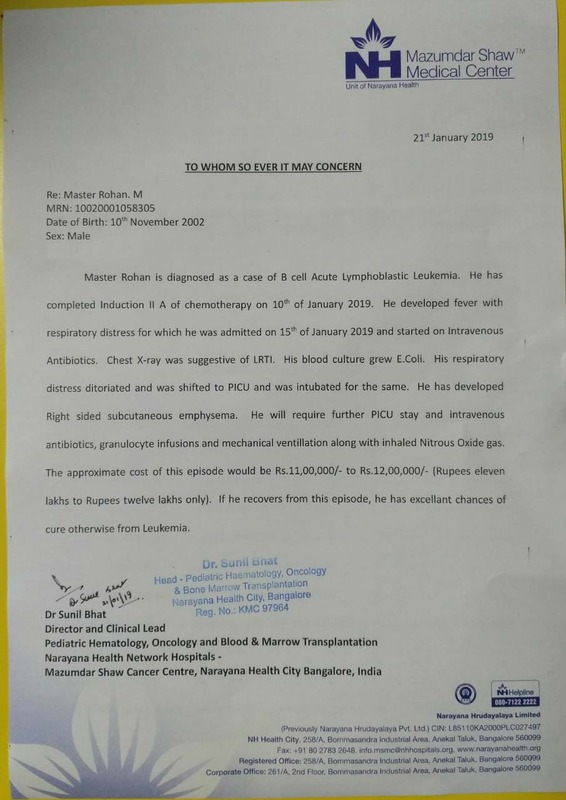 Please find attached letter from the hospital. Thank you once again. Please continue supporting. 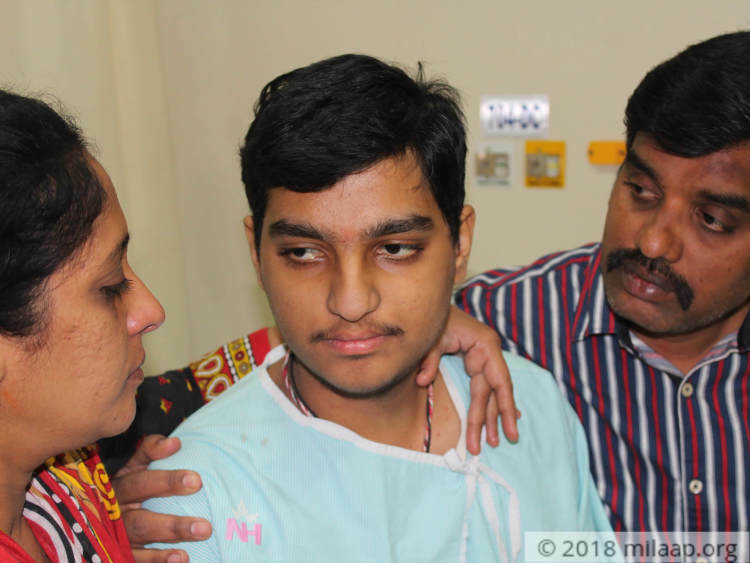 Here is an update on Rohan. Rohan is undergoing 3rd set of chemotherapy and will start the 4th set next week. The treatment will continue for another 3&1/2 months. Maintenance chemotherapy yet to be started after the 4th set of chemo. He is currently doing good and responding well to the treatment.